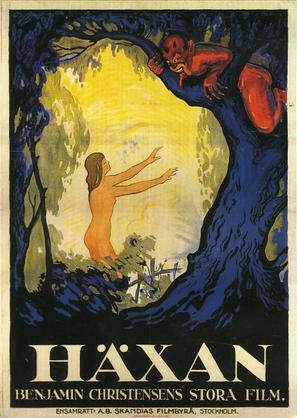 As the season of magic comes to an end, one last indulgence; the fantastic film of 1922, Häxan. 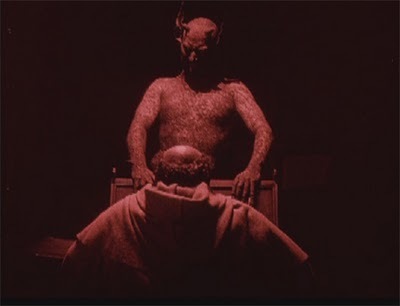 Loosely translated as The Witches, this film written and directed by Benjamin Christensen is spooky as hell, beautifully produced, referencing medieval illumination, conjuring Satan, lust, desire, transgression, ignorance, & torture. What more could you wish for? 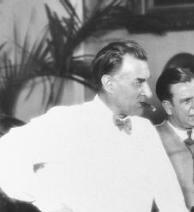 Benjamin Christensen is best known for his role in Michael a groundbreaking gay themed film of 1924 in which he plays the long suffering sugar daddy Claude Zoret. 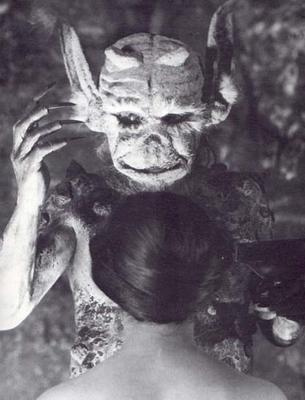 Häxan effectively conjures images of the tortures of Hell, so familiar to Medieval Christians. Christensen’s mechanized Hades, a wonder. Please make sure you look for it. 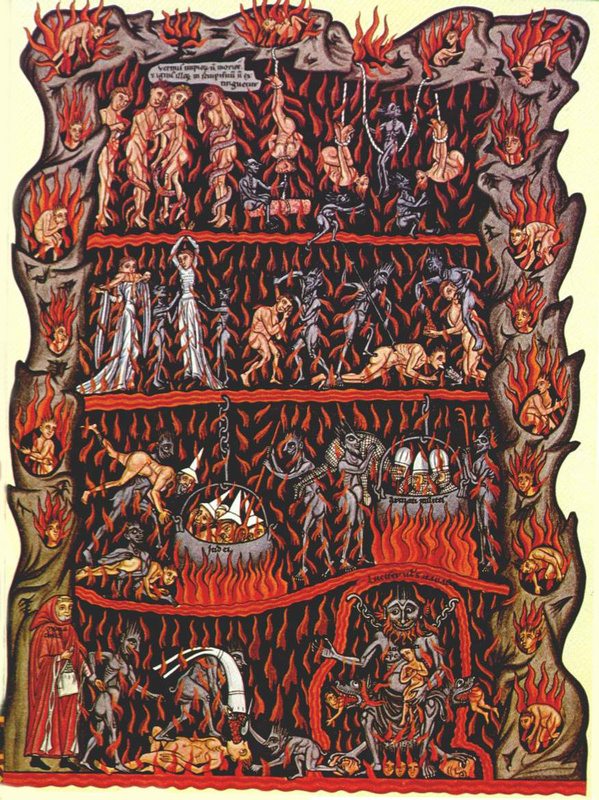 Satan is particularly compelling, seductive in the most horrifying way. When he convinces the hot little vixen/amateur witch to forsake the bliss of her marital bed, he is most deliciously wicked. Apparently playing for both teams, Satan offers temptation to a Brother of the Cloth. Please have this image in mind when viewing the nun sequence, it is perfection. 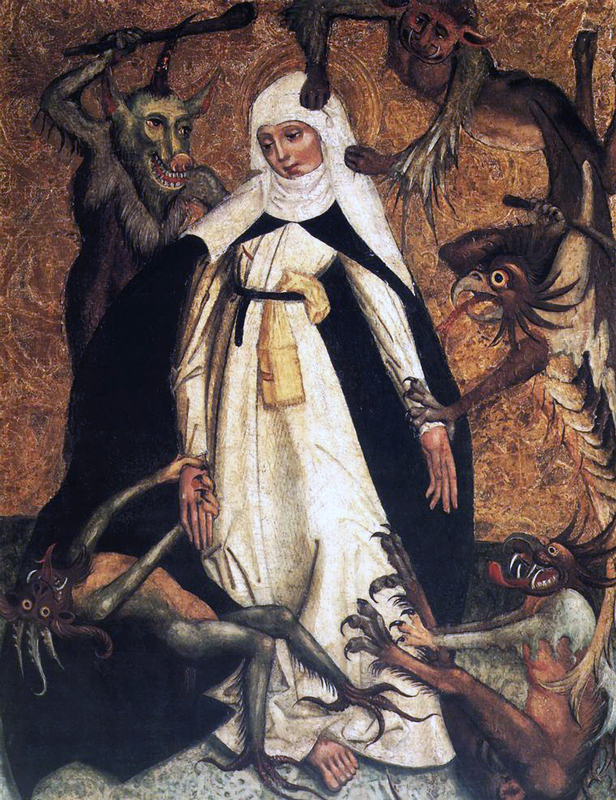 I love the nun sticking out her tongue to convention, patriarchy, the Holy Church, to God Himself. 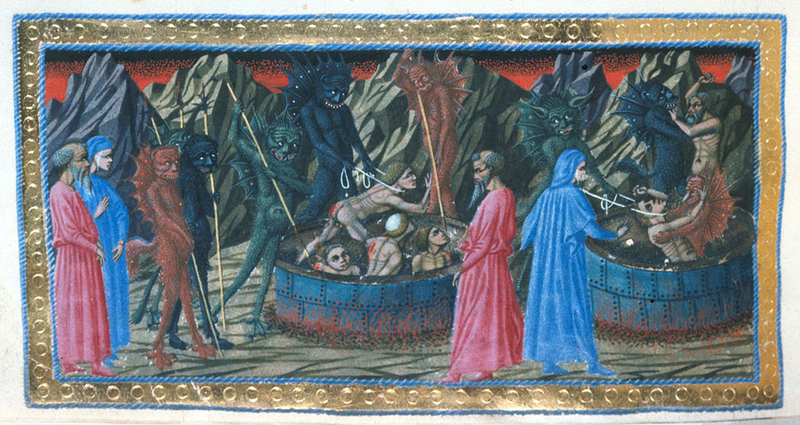 I love how Satan lurks within the shadows in this clip, so terrifying. It is a fascinating film, one I have not had the pleasure of seeing in its entirety. I plan to remedy that shortly. With that, have a very spirited Halloween! This entry was posted on October 28, 2010 at 9:44 pm and is filed under 20th century, Benjamin Christensen, Black Arts, Häxan, Luis Ricardo Falero, Silent Film. You can follow any responses to this entry through the RSS 2.0 feed. You can leave a response, or trackback from your own site.